Our weekly explainer on economics using lessons from popular culture. In Installment 3, Amol Palekar expresses his discontent at FSI and Rent Control. Ek akela is shahar mein/ Raat mein aur dopahar mein/ Aab-o-daana dhoondta hai/ Aashiana dhoondta hai. – Amol Palekar in Gharoanda. One person, alone in the city/ At night and in the afternoon/ Looking for food/ looking for shelter. In the film Gharaonda, Amol Palekar plays a young man who has come to Bombay (as it was then), and is worried about food and shelter. I can identify with this, as I too was a young man in Bombay once with identical worries. Indeed, most young people migrating to big cities would empathise with Palekar. Most of us get by when it comes to aab-o-daana, but aashiana can be a different matter. 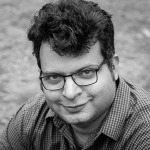 Housing in Mumbai (as it is now) is incredibly expensive, and most middle-class people cannot dream of buying a house. There are two important things I would like you to note here. One, prices are a matter of supply and demand, and if there is relative scarcity of housing, prices will seem high. That’s just how it is. Two, the supply of housing is artificially kept low by government regulation. If not for the government, real estate in our cities would cost a fraction of what it now does. If you cannot afford to buy a home where you live, then repeat after me: This is the government’s fault. There are a number of terrible regulations that lead to this effect. I want to focus on two in this piece. Floor Space Index (FSI) is the ratio of a building’s floor area to the size of the land on which it is built. For all practical purposes, it determines how tall a building can get. This is regulated in India by state governments and city development authorities, and the FSI allowed in Indian cities is ludicrously low: as Pavan Srinath describes in a Reforms 2.0 piece on Pragati, it ranges between 1 to 4. Bad regulations always begin with good intentions, and these caps are in place because governments feel that if buildings grow too tall, then neighbourhoods will get crowded, and infrastructure won’t be able to cope. As an illustration, consider that Manhattan has an FSI of 15 and Shanghai has an FSI of 13.5, and there are arguments that even those could be higher. Those cities have managed just fine. In the context of the city where I live, the American economist Alex Tabarrok pointed out in episode 11 of my weekly podcast, The Seen and the Unseen, that Mumbai is a city of reclamation, and has traditionally grown by reclaiming land from the sea. “It is time to reclaim the sky,” Alex told me. There is no reason to accept a shortage of real estate when there is so much vacant space right above us. 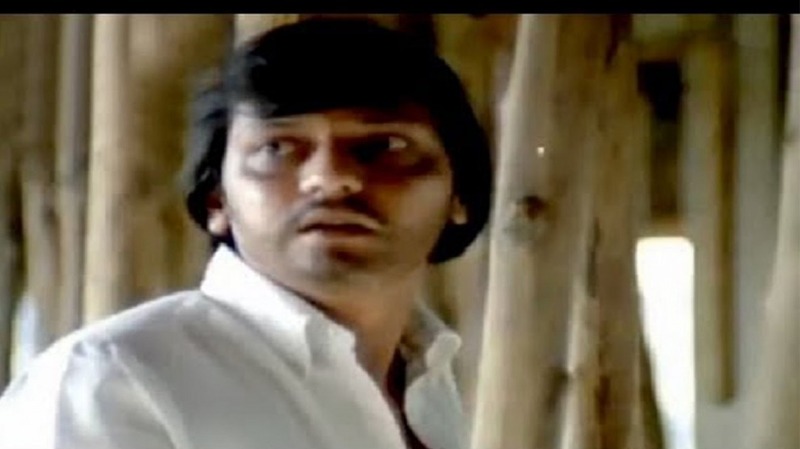 If Mumbai’s FSI is raised to Western standards, what would be the effect of this on young men like Amol Palekar’s character in Gharaonda, and me two decades ago? Well, we would reclaim the sky, buildings would be much taller, and there would be far more housing available. Indeed, the number of apartments available for sale or rent could be multiples of what it is today. And when supply goes up, what happens? Prices go down. Palekar, in his song, would then not be so worried about aashiana. If you walk down Marine Drive in Mumbai at any time – I recommend the monsoon – you will find this Queen’s Necklace lined with old, dilapidated houses. You may wonder why they are in this shape. You might be surprised to know that some of the residents of these buildings, occupying prime space in India’s financial capital, pay rent that would barely buy them a wada pav in a respectable five-star hotel. This is because of Rent Control, another bad regulation that began with good intentions. The idea behind rent control is noble: residents have a tough time coping with rising rents, so you put a ceiling on the rent and thus protect their interests. Good for the residents, but disastrous for the city. Here are some of the things wrong with it. One, it is an attack on the property rights of the apartment owner, who has a right to charge whatever she wishes to. Two, it removes her incentive to look after the building, because the regulation has destroyed its value to her. This explains why rent-controlled buildings tend to be in bad shape, and some even collapse once in a while in Mumbai. Three, it affects the incentives of other builders and home-owners. Four, by reducing supply and raising prices, it hurts every other person in the city indirectly. In other words, it has a similar effect to FSI: it reduces supply, and thus means higher prices for everyone looking to buy or rent housing. This ends up having a knock-on effect on everything else in the economy as well. These effects tend to be unseen, so it is only appropriate that Rent Control has been discussed in The Seen and the Unseen. Here’s episode 14, in which Alex Tabarrok takes us through its unintended consequences. Let’s shift to a pleasant subject now: from real estate to love. As Gharoanda progresses, Amol Palekar finds romance with Zarina Wahab, and the two then sing a version of the song that he sings earlier alone. Do Diwaane shahar mein/ Raat mein aur dopahar mein/ Aab-o-daana dhoondte hai/ Ek aashiana dhoondte hai. Two lovers in a city/ At night and in the afternoon/ Looking for food/ looking for shelter. The two young people have the same problems that the one young person did earlier – but as you can guess, they are considerably happier at the time of singing this song. Thank goodness the government does not regulate Love like it regulates Land. My thanks to Pragati contributor Kumar Anand for suggesting this song to illustrate this concept.